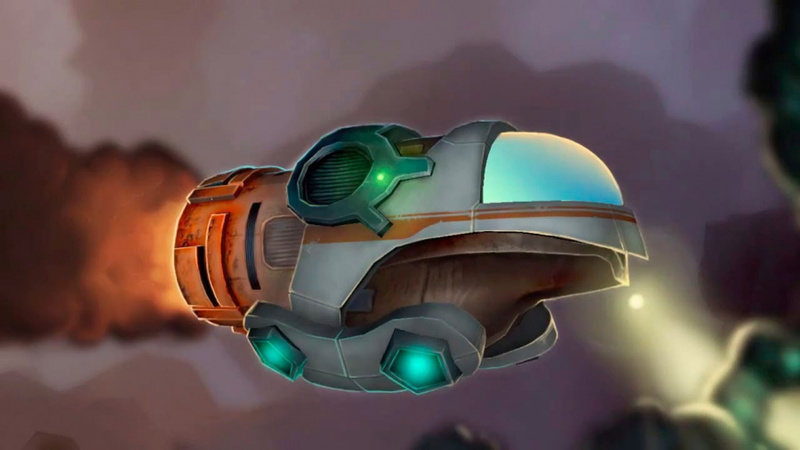 "We have to earn all our revenue in the eShop"
Affordable Space Adventures, a collaboration between KnapNok Games and Nifflas, is a much anticipated Wii U-exclusive eShop title. It'll utilise the GamePad for both single-player and co-op, with the second screen of the controller being used to control the mechanics of the ship itself - we listed it as one of the 10 biggest Wii U games of 2015 in January, and have been impressed in our hands on time with the game. It's due to arrive on April 9th, and KnapNok Games has now informed us of the pricing for the title. It'll be at the high-end of the market in Europe and North America, costing $19.99 / €18.99 / £16.99 at launch; importantly, it's also confirmed that we shouldn't expect any discounts until at least Fall. Dajana Dimovska, CEO of KnapNok Games, has said the following. Setting a price has been tricky for us. There is a lot of great games on the eShop selling for around $15, but they are either ports from other platforms, or games that could be easily ported to other platforms at a later date. 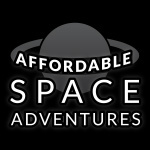 Affordable Space Adventures is uniquely designed specifically for the Wii U system and the GamePad, we have to earn all our revenue in the eShop. There is such a great community surrounding the Wii U and people are super excited whenever a good game is coming to the platform; I am sure that people are willing to pay a few extra bucks to get a game that has been tailor made for the hardware. We are pretty certain that this game will not see a price drop or a discount at least until after the summer. We totally understand that some people have a limited budget for games. If these people are willing to wait and buy the game in the fall, to save some dollars, we are cool with that. I just can't promise anything about when or how much. The only thing I can promise is that the game will stay full price during this spring and summer. Citing former Nintendo of America employee Dan Adelman, KnapNok Games is keen to retain the value of its game, avoiding a race to the bottom in pricing. As you can see in the comments above, with this title being a Wii U eShop exclusive and being so reliant on the hardware, the studio feels the price is a fair match for the product. Let us know what you think of this pricing and the reasoning behind it. Are you planning to be an early adopter when this arrives on April 9th? $20 doesn't seem to bad. I will be very interested in how well this sells. I know for download only titles the high point is normally $15, I hope we can start having more of a mix in prices and scope of games. Looking forward to this looks a lot of fun and great to see another game putting the pad to use. I don't suppose these are the most "Affordable" Space Adventures, but it will have to do. I like pricing that avoids the race to the bottom; it makes the industry healthier. I will buy at full price or not at all. I will go for 20 USD. I am glad its exclusive and I hope it is a great success for them and there investment pays healthy profits. A reasonable price, to be sure. Though I do feel it could hurt them to announce when a sale could be expected (or 'not expected until'), even if they're okay with people waiting. Hopefully everyone who has been waiting for this decides to pick it up at launch. @Kroisos yeah, i would rather pay $20 for a solid game than $15 for one that "could have been solid." if this interests me and it gets good user/reviewer feedback, $20 isn't an issue for me. Day one buy for me. No question. $20? Sounds great. Happy to dole it out. Honestly, their reasoning makes the $20 price more appealing. It is a day one buy for me I cannot wait to fly! Normally I would say this is too much but when you put some good reasons behind it I can't argue too much with what the dev said. Still (and some of you knew this was coming) if this is priced at 15$ I really think the dev makes more money from more sales at a better price. More like "Not Necessarily Affordable Space Adventures", am I right? Hm. I'm probably still going to get it, but I'll be waiting a bit for some reviews before I do, now. I think it's a bit expensive and it will hold it back but if it is good I have no problem with it. I have not problem with that price, I purchased Trine 2 for $20 when it first came out on the Wii U, but I am getting really tired of having no variety on the eshop other than just puzzle and platformer game. So I think I will pass until the price drops just like I am doing with Shantae and the pirate's curse. I'm personally rather sick of the "race to the bottom" pricing set by some of the no-quality indies out there who are basically doing what Apple did--teaching a bunch of consumers that they shouldn't expect games to cost much, and they shouldn't expect them to even be worth much. Unaffordable Space Adventures it is. Fair. Looking forward to it! I don't have a problem with the price. The game looks to be of very high quality. I'm just concerned the game will be more complex than fun, so I'll wait for reviews. @Captain_Gonru They usually should have file size of the game on the game's page on the eShop. If you scroll down to the bottom of the page, you can even see if you even have enough space on your Wii U to download! If its available to download off Nintendo's website you can find the size there too. Like others have said I can't have any complaints with this. I'm glad they've set out to make a game specifically with the gamepad in mind and so long as it gets decent reviews I'll happily pay £16.99. Let's hope its good! I'm looking forward to this but am unsure of its quality. @TingLz I was thinking the same thing. I'll buy it for sure! Been patiently waiting for ASA for a long time. I'm definitely excited to play it & it'll be worth full price for sure! $20 certainly makes sense. I'm not sure this is for me just yet... I'll wait for reviews and more gameplay videos, but if it sounds like I might enjoy it, I have no problem paying that amount. Did so for Shantae and the Pirate's Curse last December and I don't regret it one bit. This is a third-party Wii U exclusive game on eShop. If it had a box, people would $30-40 for it. Do people expect to pay less just because it is indie? I think the price is fair. Day one download! Shut up and take my money! It's a nice game for $20 and it seems more Orwellian than Star Trek. Waiting to try this game. Love to support Devs who are really trying on WiiU. This is one of my most anticipated games this year! First week 10% discount would be nice for early buyers. Also I'll wait for reviews. A demo would be nice. Not a bad price, as long as the content's there. Good games are worth even more to me and I don't like the trend of fast devaluation of games either. It just is not good for the whole industry and at least the good devs do deserve better - than that their games are treated as if they age like milk! I am also willing to honor the exclusivity too. I don't normally like to go above £10 for digital releases. Child of Light was the most expensive game I have bought and if I recall correctly that was £12, so £17 is quite a step up again from that. If the reviews paint a good picture then I might stump up for it, otherwise I will wait for a sale. I think it's a dangerous price point they have chosen for the UK, they will probably still get a decent amount of first week sales but I can see the numbers dropping dramatically after that. I'd have priced it similar to child of light personally. Take a look at the prices, $20 is equivalent to €19 so thats fair enough, but it should only be £13.50 not £17. I know you have taxes to factor in, but it's that additional fee that tips it over the edge for me. @MadAdam81 affordable space adventures has already been rated in Australia (http://www.classification.gov.au/Pages/View.aspx?sid=uNQYLdCtXlPowcQHrGRlGQ%3D%3D), so it should launch around the European date, unless there are issues. Interestingly it says "multi platform" but that could just be something incidental with the forms or knapknok possibly future proofing this ip to not have get it re classified. On the price point, if the US is paying $19.99 you can probably bet we'll be paying about $24.99... I don't mind though. I've had my eye on this game for a while and it looks pretty damn good. If it has enough content (single and multi/online), and they promise to keep supporting it, I'm ok with paying the 'extra few bucks'. Eagerly awaiting NL review, on this one. €19 is not so bad. I'll bite Glad we finally have a release date, and it's soon! I was interested in this until I watched the crapy video by Nintendo life. Now discovering this indie title will be £17 that's the biggest turn off ever. Sorry but at that price I'm NOT interested! I don't understand why the assumption is that an indie title should automatically be cheaper than a major retail release. People forget that in the cartridge era there was no differentiator: they were all games you could play on the console. If this title provides an equivalent experience to a so-called triple-A title then I think it should command the same price. Inflated budgets aren't justification for inflated prices and arguably an indie title of quality is going to require a lot more sacrifice from its developers - these people have to eat too, ya know! Looks very cool, first day purchase for me, only just bought a Wii U really loving the games, my favorite next gen system. That's actually a good thing. You need to be compensated for your work. Day one purchase for me. Rather expensive for what it looks like, I suppose it depends on the content, so providing it's actually good I may still pick this up. @Sean_Aaron some people dont like to pay a premium price for a digital download, I still prefer my physical copies for instance. So in my opinion a digital download is worth less. I'll be honest, I was hoping it would be cheaper. However, (before everyone goes nuts) I understand the thought process behind making the decision to price it at $20. I'm still planning on picking ASA up; but it's going to be ASA or Elliot's Quest as my next eShop purchase. I don't know which will turn out to be the better game but Elliot's Quest's price of $12.99 is going to definitely be one of the deciding factors. Unless the physical copy has been hand-crafted from marble or is otherwise special it has no more intrinsic value than the digital copy. In this instance there is no physical copy available so that point isn't even relevant. If it had Mario in it, you'd pay twice that and wouldn't complain. Exactly. When people start complaining about price to this level, all it does is make gamers look like a bunch of entitled brats. Sure 15$ would of been nice but I can put out five more dollars. I will be eagerly awaiting NL's review of it. I hope most other sites review it too. I have this tendency of getting bored halfway through Nifflas' games, so even if $20 is not that much, it is if I will touch the game for just a couple of hours. If I can get my bro on board, then it will be day 1. The co-op alone sold it to me. I don't want to give any funny and unfortunate ideas for them, but I would have paid even more for the GamePad ideas. I am such a fan of Nifflas. I expected $15 but will gladly pay $20. Been looking forward to this clever-sounding game for a while now. I couldn't care less why they are pricing it at $20 (although I do appreciate them letting us know that IF it goes on sale it won't be until AT LEAST fall 2015) all I care about is if the game looks fun enough to be worth $20 to me. At this point I haven't looked at this game enough yet to determine if it's worth that to me or not. Now that it's about to come out I'll check into it and determine if it's for me at that price or not. The idea is great and the execution looks like it could be good with thr promise of a novel co-op mode meaning it could be something fun to play with my partner who otherwise doesn't play a lot of games. Day one purchase for me! I'm more interested in finding out how much space this will eat. I would pay even $30 but I want them to promise it stays a Wii U exclusive I love those. I am eagerly waiting for this game. If reviews follow up i'll be happy to pour $20 bucks. If its a 7 I guess Ill wait the discount. I was kind of "meh" about this game until today. It looked like just another game where you navigate your ship in some corridors and avoid the walls and enemies. I've played so many varieties of that game, i just don't care anymore. But, after I read about the elaborate controls and multi-player action, I can easily admit that I was wrong. $20 for this game? I will gladly purchase on day one. Doesn't sound so affordable to me. When a download game is 15 Euro I mostly wait till it gets cheaper. When its over 15 I mostly won't buy it. There are so many downloads, and they are always expensive on Nintendo-devices. And I am not swimming in money, so I go more and more for the discounts! Everything I've seen about the game looks and sounds great, so to me, $20 isn't a deterrent. @Henmii "and they are always expensive on Nintendo-devices" Compared to what other platform? I've seen plenty of PS games in the same price range (have no reason to pay attention to XBOX, so can't comment on that), but if you're referring to smart device prices, they are in another league all their own and the vast majority of them should not be compared to console/dedicated handheld pricing. Many, many mobile games are cheap or free for a reason, one being a lack of attention because the market is so flooded, but many people don't stop to think about that. Some will refuse to pay even 99 cents and unfortunately, that line of thinking has bled over to hurt the professional industry. I'm just not into the game. I'm glad it's exclusive, but I don't like the style. I hope it gets bought by people who like it though. I'm not paying double for this. Couldn't resist but I am kidding. His reasoning is quite solid and it seems at least some people understand. The only problem is there will be no "Reasons why it costs $20" note on the eShop. I hope it works out for them. :/ I'm looking forward to that sweet, sweet GamePad goodness. And if they end up in the same situation as a lot of developers who tried the Wii U--putting in their efforts, getting crap sales in return--then they can just do what other developers did, and go somewhere where the gamers are happy to buy their game. If the game quality is there, I have no problem paying $20 for a downloadable game. But just like with full priced, $60 retail games... I have to know the value/quality add up to justify that price. For that, I either need a demo or reviews from sources I trust.